We are a team of skilled professionals standing ready to provide complete solutions, customized to fit your needs. 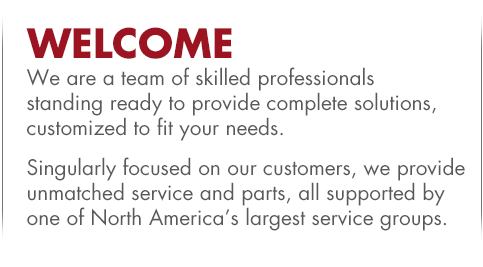 Singularly focused on our customers, we provide unmatched service and parts, all supported by one of North America's largest service groups. BLAST CLEANING TECHNOLOGIES (BCT) HAS MOVED TO A NEW LOCATION.